Stamp with Jeanne: Big news! This event is one you don't want to miss. Space is limited. July 28-30 in Fallbrook. Lots of projects to choose from...Stamp-a-Stack, Banners, Garlands, Advent Calendars, Frames, and more! Or, bring your own craft projects to work on. It's up to you! Perfect time to get your holiday cards stamped, addressed, and ready to go before the craziness of the season begins. I'll help you design a card that is perfect for you and even cut your cardstock. Everyone will have their own table with plenty of room to create. There will pillow gifts, raffles, a card swap, and lots and lots of good food, great company, and chocolate! If you're not already on my mailing list, be sure to sign up so you are among the first to know all the yummy details which will be coming soon! After you have your pages dog-eared and make your selections, total up your merchandise. 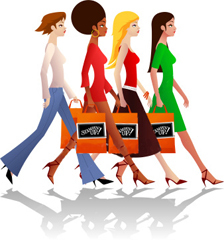 For every $50 in product you purchase, you get to choose a product from the Sale-a-Bration catalog absolutely FREE! Yes, that's right. I said FREE!!! If you order $100 in merchandise you choose 2 items, order $150 you can choose 3 items plus you will get $15 in additional free Hostess Rewards to spend. Order more, get more! 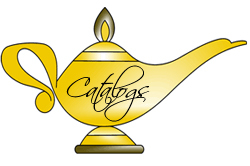 Don't forget to see what's on your wish list in the current Idea Book and Catalog too! If you have a long wish list, now's the time to make those purchases so you get even more free! If you've ever considered being a Stampin' Up! Demonstrator or even if your shopping list is close to $100, consider ordering the Stampin' Up! Starter kit. During Sale-a-Bration you can sign up for only $99. For $99, you choose $125 in products plus 2 FREE STAMP SETS and you receive a Paper Pumpkin kit and catalogs to share with your friends. Wowza! What a deal! We all love Stampin' Up! 's Designer Series Paper, so why not get some for free? Join us at the Studio for free! Did you know that World Card Making Day is coming up on October 1? I will be celebrating by sharing the fun of stamping with 65+ women at a charity event called Untie Your Ribbon. I encourage you to celebrate with me by making and sending a handmade card to someone who could use a little recognition, love, or just a boost! In celebration, Stampin' Up! will have discounts for you of up to 25% on the Designer Tin of Cards Project Kit, Fast Fuse, and some other cardmaking basics, but the deals only last from October 1-5, so make sure to stock up! If anyone's interested, I will open up the studio on October 1 at 2pm after my event for a free day of card making fun. Just let me know you'll be there, bring your supplies and let's get started! A little note about Fast Fuse...it's a little hard to get use to, but once you've used it you'll never go back. The adhesive is really strong and glides on easily. Now would be a good time to give it a try because you can't beat getting the refill for free! Check out the flyer above for additional savings! June is an epic month for Stampin’ Up!, you and I! Not only did the fabulous, new 2016-17 Idea Book and Catalog go live on June 1st, Stampin’ Up! announced that hosts receive $35 in Extra Stampin’ Rewards in June! Woo-hoo! If you’ve had a chance to look at the new Idea Book you probably have a ton of dog-eared pages or so many Post-it notes flagging the items on your wish list that you can barely see the products featured! Why not get a bunch of those items for free? For each event a host has with $350 in sales, that host will receive in Extra Stampin’ Rewards in addition to the 12% you would already receive! Wowza! These Rewards can go towards the Starter Kit too, so if you’re looking to ALWAYS get a discount on your Stampin’ Up! purchases, you can! 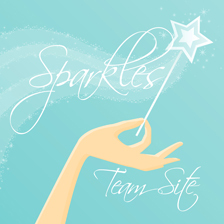 Not only that, but if you join the Sparkles team before June 30th, you get to select two additional stamp sets for FREE! That's $125 worth of products for only $99, two additional stamp sets, and a minimum of 20% on future purchases...Amazing! Let’s chat about the best way to get your friends together for a fun stampin’ event. It can be held at your place or mine and there are so many party options for you to choose from. This would be a great way to introduce the fun of stampin’ to your friends. They’re going to love it so much that they’ll want to join us for Stamp Camp which is always more fun when you have your best friends partying with you! We only have until June 30th to take advantage of these great offers and time’s already flying by. Let’s book a date for your party today!!! I can't believe there's only 3 more days to Stampin' Up! 's Saleabration! This is by far my favorite time of the year because I get to give away FREE stuff! Who doesn't love adding great products to their stamping collection for free?!?!?! Oh my gosh, it's so much fun! As a reminder, for every $50 in merchandise purchased you get to select an exclusive Saleabraion product of your choice for free! Oh boy...oh boy! Have all the Saleabration products already, but still have a big wish list? How about taking advantage of the Starter Kit? For only $99 you can select $155 worth of products, plus shipping is free too! Yes, you read that right. You can save $71.50 and get those products you've been dying to have! Not only that, but you can save money and even earn money on future orders too. Want to learn more about how this amazing offer is even possible? Contact me today at StampwithJeanne@cox.net and I will send you all the details you need to know to make one of the best decisions you've ever made! Remember...Saleabration ends March 31st, so don't delay. Take advantage of these great offers today! Sale-a-Bration is coming to an end...boo hoo! I'm probably being annoying talking about Paper Pumpkin so much, but it's such a great product and awesome deal that I can't help but want more of you to join us for the fun! 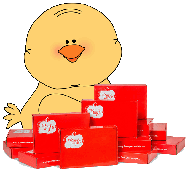 Sale-a-Bration ends soon and NOW is the best time to become one of my Peeps! We have so much fun getting together each month to create a variety of greeting card projects. It would be even more fun to have you there too! It's easy to subscribe to Paper Pumpkin with me. Just visit https://mypaperpumpkin.com?demoid=71529, choose the subscription that works best for you, and we're on our way! Be sure to purchase your subscription before March 31st to take advantage of the extra free, exclusive Sale-a-Bration products! Remember, if you purchase a 12-month subscription you become a "Peep" and receive additional benefits throughout the year offered exclusively through me...prize drawings, special Facebook page, and an annual Peeps Party that you don't want to miss! Please keep in mind that the retiring products are only available while supplies last and the list will be updated daily. These items go fast, so if you have something on your wish list, let's place an order for you right away starting November 16th. 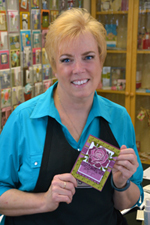 This is a first for Stampin' Up! and gives you a chance to order the products you had your eye on but have not yet ordered. Purchase MDS before it's too late! If you have ever thought about purchasing the fabulous My Digital Studio program now's the time to do it! Stampin' Up! announced today that they will be discontinuing this program as of May 31, 2015. This announcement ALMOST did me in because I LOVE MDS! It is so easy to use and digitally creates a variety of projects including (but not limited to) photobooks, cards, calendars, gifts, party & house décor, and of course...scrapbooks. What's best is that you install this program directly into your computer, so you do not need an internet connection to run the program. I've worked on my projects in the airport, on planes, in the car, laying on the couch watching TV, and even at a baseball field. Just because Stampin' Up! will no longer offer the MDS program doesn't mean that you won't be able to use it for all digital art needs in the future. The program is compatible with any program that supports layers, .jpg and .png files such as: Adobe Photoshop, Adobe Photoshop Elements, Jasc Paint Shop Pro (PSP), Microsoft Digital Image Pro (DIP), Ulead Photo Impact (PI), and Corel Draw. MDS has several output options, including your own printer, so you will have a variety of print options and vendors available to print your projects once they have been finalized. I will continue to offer classes and assistance as well. To order this program before it's too late, please visit my website at www.jeanneciolli.stampinup.net. Click on the Shop button and scroll down to the My Digital Studio links. The MDS program comes with a large variety of images and templates, but there are hundreds of additional downloads to increase the flexibility and value of this system. Be sure to take a look at all of the downloads and purchase your favorites before the May 31, 2015 deadline and they are no longer available. You can download the MDS 30-day trial today, but I would recommend going ahead and purchasing the program. It's easy to get busy and forget deadlines. You may try the program, love it, and then forget to purchase it before it's too late. I don't want you to be disappointed because I know once you try it and use it, you're going to want it forever! To help ease the hit to your pocketbook, I am offering a 20% discount to all of my customers purchasing MDS products through me starting today. Place your order at my website and send me a copy of your receipt. I will reimburse you 20% of the merchandise total right away.